Love Food Central is a café serving vegan & gluten-free comfort food located on Central Ave in St. Petersburg, FL. 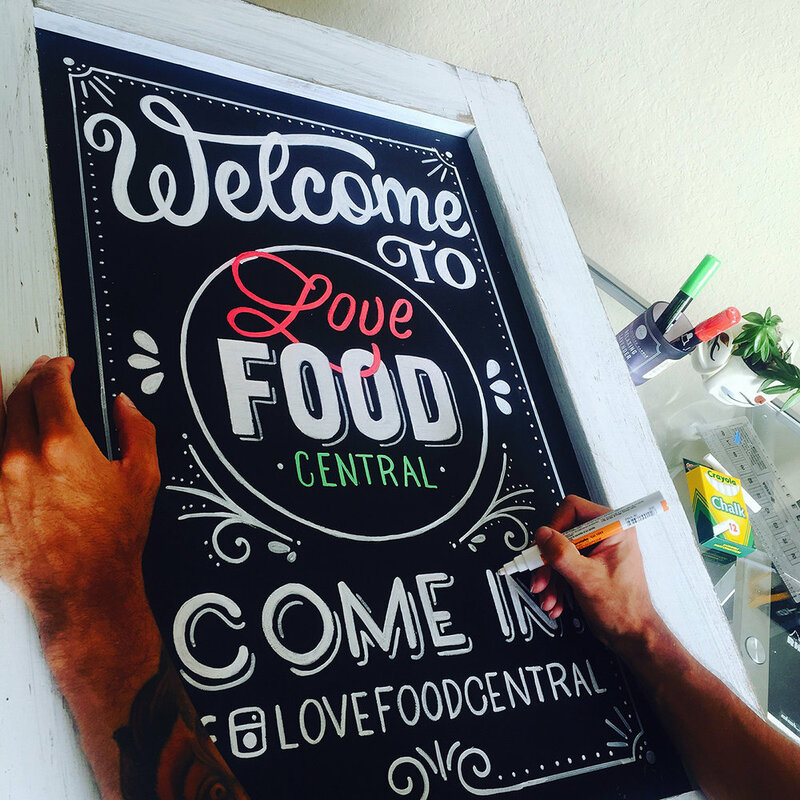 Love Food Central needed to refresh their current chalk menu boards and commissioned me to hand letter 3 menu boards. The menu has a total number of 28 items, which includes their drinks, homemade desserts and main dishes. The menu items and copy was layout and adapted to the space. Using the 2 small square boards for drinks and desserts and the bigger rectangular board for the main dishes. The key was to understand each of the menu items, their role and relationship to the whole. The solution of each layout lies in creating a design system that captures the viewer's attention, inform and communicates the information efficiently. We achieved this by working on a strong composition quickly highlighting or putting emphasis on the most important items and combining various lettering styles with illustrations, decorations and ornaments. As a token of my appreciation, I gifted my client a hand-lettered sandwich board to be placed out on the sidewalk in front of the café. Older PostNew Work: The Kimono Cart - Lettering Logo Design and Hand Painted Signage.